In continuation to my last blog post on this summer's favorite chocolates from Gourmet Boutique, here are a few more additions to our collection. These were chosen by a very special member of our team, Maya Kannan - Gourmet Boutique's 12 year old guest blogger, who loves and understands the world of chocolate just as much as I do! So, it’s my favorite time of year. SUMMER! School’s out, and I can just relax. Especially in these 2 months, there are those moments in life where you need something small to pop into your mouth and just behold what’s going on in there. I’m describing chocolate, of course! But not just any kind. I’m talking about Caffarel’s milk chocolate truffles filled with the best- strawberries and cream, found at the one and only Gourmet Boutique. Now, we’ve all had that irresistible dessert- strawberries and cream on pound cake. But this truffle makes it even better with the addition of CHOCOLATE! Which is something we all go crazy for. Another great thing about this chocolate- it’s got a great crunch that the strawberries add. Also, I love how the taste sits in your mouth for a while- so no matter where you are you feel like you’re outside, sitting in the sun, and enjoying a perfect picnic. However, if you are looking for a more unique summertime indulgence, I suggest Turkish Delights. These confections are perfect at anytime. They are not extremely sweet, but instead fruity, which is an aspect I really enjoy with these delights. This dessert has a story: It was made when the royal confectioners of the Ottoman empire were ordered by the Sultan to come up with new desserts. The final product was starch, water and sugar with flavors such as rosewater and lime. These Turkish Delights were later introduced to America and such. You can find Turkish Delights at Gourmet Boutique made by Balgin, a factory in Istanbul. 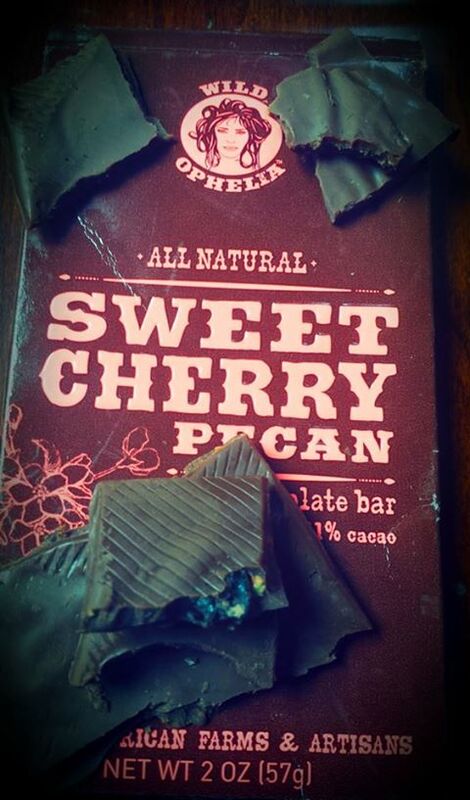 Another chocolate I must share with you is Wild Ophelia's Sweet Cherry Pecan chocolate. I feel like this one screams summer because it’s so natural. It contains pecans from New Mexico and dried cherries from Michigan. These two are a unique combination that gives off a wonderful flavor. It’s an all-organic chocolate bar, too! So, those are my summer picks. I hope you enjoy!